First stop in filling the knowledge gap was a visit to the ever-useful World Health Organisation website which features a comprehensive “Zika timeline”. First discovered in 1947 in monkeys living in a Ugandan forest (which gave its name to the virus), and shortly after in species of Aedes mosquito, epidemiological studies conducted in the 60s and 80s indicated widespread human exposure to the Zika virus in Africa and Asia, with infection largely associated with no, or only mild, symptoms. The more sinister nature of Zika infection emerged in 2007 and 2008, with the first confirmed large scale outbreak on the Micronesian island of Yap, and evidence that infection could be sexually transmitted. 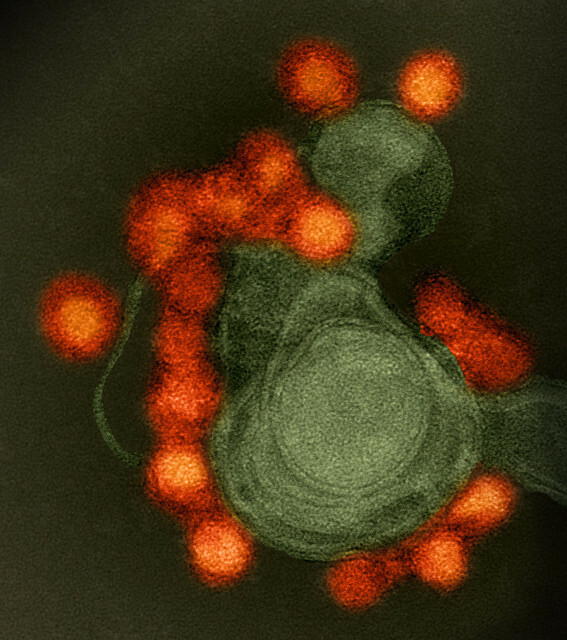 Further outbreaks occurred on various Pacific Islands during 2013 and 2014 and pointed to a link between Zika infection and birth defects and with Guillain–Barré syndrome, a rare autoimmune disease which affects the nervous system. A year later, an epidemic characterized by a skin rash bit otherwise mild symptoms was reported in north-eastern Brazil, but was not recognised as being due to Zika virus. By October 2015, an increasing numbers of microcephaly cases (newborns with small heads, indicative of abnormal brain development) were being reported. Further Zika outbreaks occurred in several South American and Caribbean countries over the following year, with the first cases (via sexual transmission) being identified in the continental United States in 2016. Being generally asymptomatic, the prevalence of Zika infection is not easy to quantify, but mosquito-transmitted infection has been reported in over 80 countries (with transmission ongoing in over 60 of these). Over 1.3 million people are thought to have been infected in Brazil alone during the 2015 outbreak. In common with other vector-borne diseases, the spread of Zika owes something to human mobility, although social factors, principally the inability to afford protection against mosquitoes and high population density have been identified as key drivers. The Zika virus has several properties that contribute to its ready transmission and to its devastating effect on foetal development. The virus is highly persistent in whole blood (up to 100 days) and in the male reproductive tract, allowing sexual transmission. Zika has a preference for certain cell types that facilitate the passage of infection through the placenta; animal studies suggest that viral preference extends to neural progenitor cells essential for normal cortical development. Whether Zika infection is a direct cause of Guillain–Barré syndrome has not been established. As with malaria, Zika’s vulnerability lies in its dependence on mosquito vectors: and targeted insecticide use, management of standing water and the conscientious use of bed nets and repellents can significantly reduce transmission. Like malaria, control initiatives are vulnerable to political and economic factors, including climate change-related changes in mosquito distribution and abundance. Unlike malaria, Zika has a simple lifecycle; as with other flaviviruses (including the causative agents of yellow fever and Japanese encephalitis), infection should, in theory, be preventable through vaccination. Vaccine development efforts are almost contemporary with the Zika outbreak itself, beginning in the second half of 2015 with the genetic analysis of Brazilian Zika isolates, with the first clinical study of a Zika vaccine being reported in late 2017. Around 45 candidate vaccines have been developed through academic, governmental and industrial efforts, with nine of these reaching the clinic, representing both established (inactivated virus) and experimental approaches (DNA and mRNA vaccines). The WHO’s initial requirement is for a vaccine that can be deployed in response to outbreaks with the primary goal of preventing congenital Zika syndrome through minimizing virus carriage in the immediate population. Early clinical studies have established that vaccination can elicit aneutralizing antibody responses, although, while an accepted hallmark of flavivirus vaccine efficacy, the importance of neutralising antibodies, and the minimum levels needed to establish protection have still to be established in the context of Zika infection. Other important unknowns include the duration of effective vaccine-induced immunity and whether the reproductive tract can be protected from infection. Perversely, given the untold misery arising from Zika outbreaks around the globe, the virus’s propensity for neural progenitor cells may offer a new means of treating the most aggressive and intractable form of brain tumour, glioblastoma. Chinese researchers have found that an experimental live attenuated Zika vaccine functions as an oncolytic virotherapy [Going viral] in an animal model of glioblastoma, specifically infecting and destroying glioma stem cells thought to be responsible for the inevitable recurrence of the tumour. Elimination was also observed using glioma stem cells isolated from individual patients. Zika virus epidemiology: from Uganda to world pandemic, an update. Talero-Gutiérrez, C et al. Epidemiology and Infection April 2018; 146(6):673-679. Current status of Zika vaccine development: Zika vaccines advance into clinical evaluation. Barret. ADT. npj Vaccines. Published online 11th June 2018. Treatment of Human Glioblastoma with a Live Attenuated Zika Virus Vaccine Candidate. Chen, Q et al. mBio Published online 18th September 2018. I'm the Principal of Alexander Yule Consulting, a pharmaceutical and life sciences business advisory, that has provided commercial and corporate support to companies of all sizes for over 25 years. I enjoy working with early-stage ventures (including pre-money businesses) to assist in value proposition development, investment proposal development and business planning. Besides the business aspects of life sciences, I'm interested in most therapeutic areas or sectors (everything from oncology to consumer healthcare). All comments on the blog or questions on specific topics or general aspects are most welcome. Copyright Alexander Yule 2017. All rights reserved. Simple theme. Powered by Blogger.